When you sit at you computer and you need to send something to your iPhone, what do you do? Email it to yourself? Add it to Evernote? 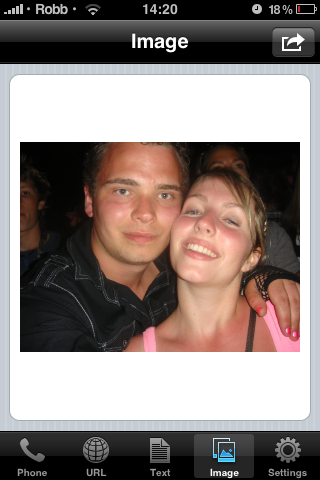 Some other process? Android Froyo already does it with 'Intents' so why shouldn't us iPhone owners be able to? myPhoneDesktop aims to fill the void. 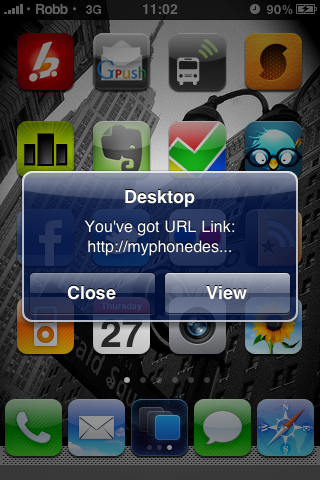 myPhoneDesktop allows you to send phone numbers, text messages, photos and URLs directly to your iDevice from the web or using a dedicated client on your Mac, Windows or Linux machine. Along with the desktop or web client, you can use a bookmarklet to send information to the app as well. - Works with Mac, Windows and Linux - Works from any web browser - Send information with a bookmarklet - Send phone numbers, text messages, photos and URLs - Works over 3G and WiFi - Push notifications - Import contacts from Outlook and Apple Address Book - Keyboard shortcuts To start sending data your iPhone with myPhoneDesktop (MPD), you need to create an account within the app and choose which method of sending you want to use. The best method, in my opinion, is the desktop client. Go over to the app's website, download the client for your operating system (versions are available for Mac, Windows and Linux) and then install it. The two other methods are web-based; the first is simply a pop-up window on the MPD website. Click 'run in browser', login, and start inputting your content. The second method is a bookmarklet. Again, this can be accessed and added to your favourites from the MPD website. The desktop and web-based clients work in an almost identical way. 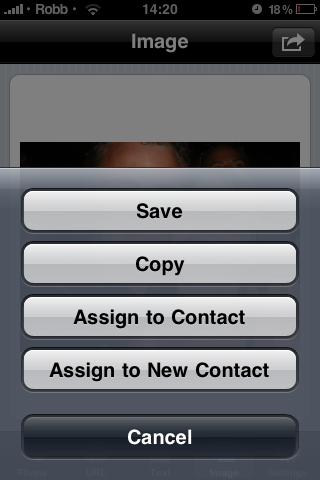 Choose phone number, text message, photo or URL and start typing or pasting content. 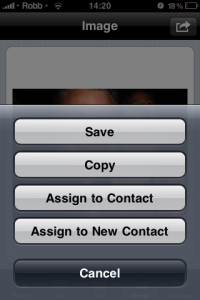 Type a phone number and select either phone, sms, show or copy. 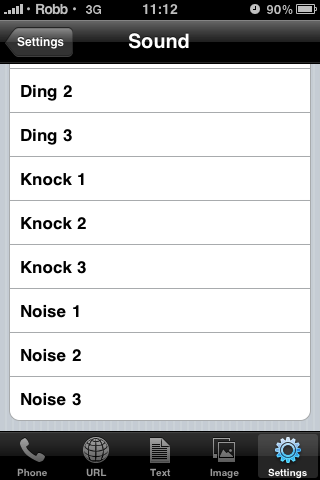 Selecting 'phone' will send the number to your iPhone, open the MPD app and then start the phone call. The sms option adds the phone number to the recipient field in a new sms chat and the text you have written will be added to the clipboard for you to paste in. Show and copy, as you can guess, simply sends the text to your iPhone, with the latter option adding the text to your clipboard. MPD also allows you to complete the same tasks with a URL. If you want to send a photo to the app, you can either choose a file on your computer, or paste in a URL. You can choose for the app to automatically save it to your camera roll, simply show the photo or copy it to your clipboard. Whenever you send something to your device, you will receive a push notification pop-up window informing you that something has been sent. Simply press 'view' and myPhoneDesktop will open. The app will then process what you have sent and complete any tasks it needs to (save, copy to clipboard, phone a number). In the settings of the desktop app, you can set a keyboard shortcut to instantly send whatever is in the clipboard. You can also import contacts (although I couldn't get this to work, I kept getting an error), set the order of contacts, toggle the keyboard shortcut and a few other things. In the settings of the iPhone app you can choose from a variety of sounds for when you receive data, choose to get data manually and set actions depending on the type of data being received. The Good: myPhoneDesktop offers an elegant solution to a problem that is a real pain for many of us. The desktop client works perfectly, the web-client is easy to use and the data is sent almost instantly. The fact that there is a client for Mac, Windows and Linux show that a lot of effort has gone into making MPD work for everyone. The Bad: myPhoneDesktop is a great app but I feel that a history feature might make the app ever better. What I mean by this is that everything you send to the app would be cached (or least every text message/url/phone number) so it could be accessed over and over again. This would be great if you were working on something where you needed to send multiple different sections of text over to your iPhone. Another issue I have it not being able to access my iPhone Contacts from the desktop client. Although there is support for Apple Address Book and Outlook, I don't use either of those and it would be good to be able to access other address books such as Google Contacts or MobileMe. I haven't typed a phone number to call or text for years and I'm not going to start now. myPhoneDesktop gives a solution to a problem that many of us just accept as an acceptable nuisance. We shouldn't need to email notes to ourselves and this app is perfect for that and much more. The fact that this can be done even when you are at a computer other than your own, via the web, really sets MPD above other apps in the same category. This is a definite must buy and won't be moving from my home screen for a long time to come.